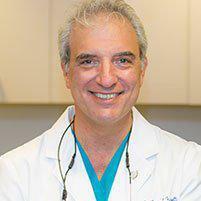 Dr. Franzetti is an experienced and skilled dentist and periodontist, offering patients in Manhattan and Brooklyn, NY, the most advanced oral surgery techniques and approaches, including wisdom tooth removal and cosmetic gum surgery, so every patient can enjoy optimal results. Oral surgery includes all the procedures that can help you correct serious dental issues like missing teeth or impacted wisdom teeth, as well as cosmetic procedures to help you look and feel your best. Cosmetic gum surgery includes procedures that help reestablish an aesthetically-pleasing ratio of your teeth to your gums. It's most commonly used to correct a smile that appears too “gummy,” when the gums extend too far over the tooth – or too “toothy.” Toothy smiles can occur as a result of gum recession due to gum disease, or they may simply reflect the natural position of your gum line. Cosmetic gum surgery uses special techniques to remove excess gum tissue or to graft additional tissue onto gums that reveal too much of the tooth. Gum surgery is also sometimes referred to as gum contouring. No; today's oral surgery procedures use pain-relief techniques designed to eliminate or minimize discomfort both during and after the procedure. Pain relief options include oral sedatives, intravenous medications, and local anesthetics to numb your gums. The type of anesthetic that's used in your procedure will depend on the extent of the procedure as well as your preferences and the dentist's recommendations. Not necessarily, but it's usually a good idea. By the time wisdom teeth erupt, there usually isn't enough remaining space to accommodate them. That means they can cause crowding issues with other teeth, even becoming impacted and pressing on the roots of their neighboring teeth. Even when there is enough room, they can be very difficult to clean, increasing your risk for tooth decay, gum disease, and even eventual tooth loss.